Galileo SSL Client is a bespoke security application created 2006 to replace Leased Line and VPN solutions. 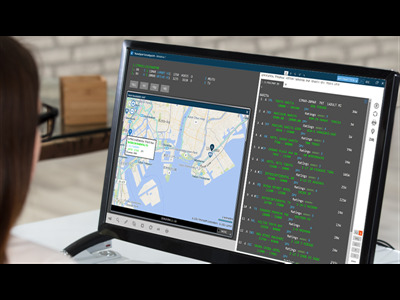 The Galileo SSL is currently used by many Travelport customers to facilitate access to specific Travelport internal network entities (for example to access the Galileo Desktop / Travelport Smartpoint for Travelport Apollo and Travelport Galileo.) The Galileo SSL Client can run on the individual agent’s computer or as a single gateway in an agency environment. The Galileo SSL included functionality in the SSL installer to check the TCP/IP communication setting on the machine in support of Galileo Desktop. This check is no longer required in the SSL installer and has been removed. As a result, the check box added to the Galileo SSL installer with v3.0.1.46 to aid in retaining an existing TPC/IP communication configuration setting when installing the Galileo SSL has also been removed with this release. This applies to agents that are currently using Galileo SSL. For more information, see Product Advisory 3489. This will change is NOT LIVE until 28 March - Do Not Move to Production Marketplace. The Galileo SSL Client version 3.0.3.1 has been modified to obtain installation verbose logging. We have also updated security fixes as part of this release. No other changes have been made to the Galileo SSL functionality with this release.